Are you looking for fast and effective teeth whitening in Vancouver, WA? If so, Zoom teeth whitening may be right for you. 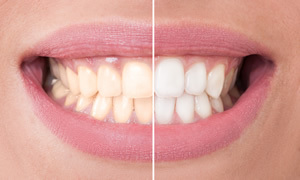 Zoom is advanced teeth whitening treatment administered by a dental professional that can turn your teeth up to 8 shades whiter in only 45 minutes. Zoom teeth whitening treatments administered by Dr. Bowyer help you avoid the mess and effort of using home treatments. This treatment is also faster and more effective, since it is applied by a trained dental professional. You can come in on your lunch break and leave with your smile several shades lighter. If you would like a free consultation to see if Zoom teeth whitening is right for you, contact Dr. Bowyer at his Vancouver clinic. Call our office at (360) 253-2640 or use the form to schedule your appointment.